How To Grow Your Twitter Following (with actual engaged fans). Hello! 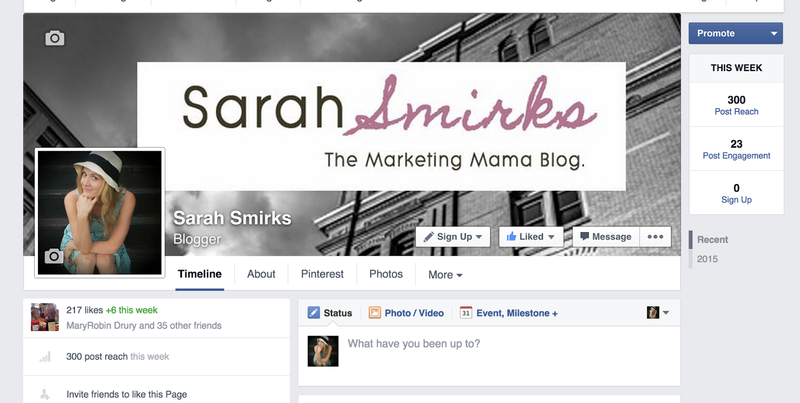 I’m Sarah Noel, Content Director of Sarah Smirks: The Marketing Mama Blog. 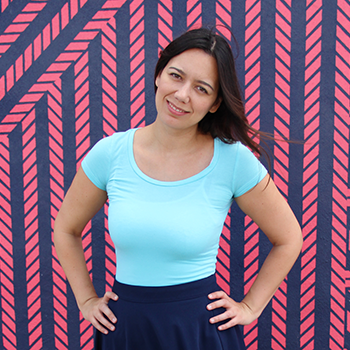 The lovely Paola and I met through a blogger group and decided to swap guest posts this week. She wrote an awesome SEO post on my blog and I am writing to you about my love of Twitter. Learn how I grew my Twitter following by 4,000% in 4 months with engaged followers and how you can do it too. Enjoy! I had 42 followers on Twitter when I began blogging a year ago. I started an account in 2008 because I’m one of those “early adopters.” I was on Facebook in 2005 when it was only open to .edu email addresses at select universities. I joined Pinterest when you still needed an invitation to join. I just like new platforms. However, Twitter wasn’t my thing. I had it, but rarely used it. I just didn’t get the point. I have to limit what I say to how many characters?! It wasn’t until I attended a B2B conference in May of this year that I truly understood the power of Twitter. I gained tons of major marketing powerhouse followers that week just by using the hashtag for the conference. I was learning so much from them and FINALLY got the benefit of Twitter. I began to set up my Twitter strategy and it helped me grow my Twitter following with engaged followers by 4,000% in 4 months. I was officially addicted. You’re probably wondering what my strategy was. Well, you’re in luck. I’m about to tell you. First thing first. 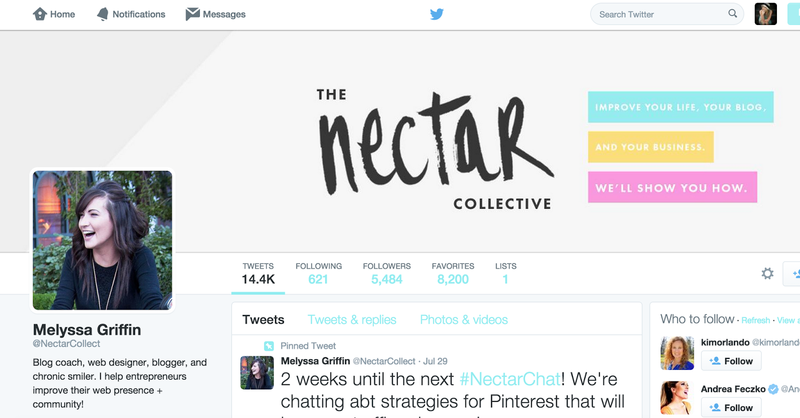 Your Twitter profile should match your other social media profiles for branding purposes. This will not only help your brand recognition, but it will be useful if you already have a good following on other social media platforms. You’re recognized at a glance. Your bio, cover photo, & profile picture should be the same on all platforms. When writing your bio, make sure to include important keywords. What is it that you want to be known for in your industry? Make sure that your bio tells your audience! I want to be known for branding and marketing – not only do I use those words in my bio, I hashtag them (yes, hashtags work in your bio). Tweet information your audience wants to read and do it often. Twitter is a fast-paced platform and Tweets get buried fast. I Tweet about social media, marketing, & blogging tips (find me at @mama_marketer). I keep my account to 1-2 Tweets of my own content a day, 1 Tweet of another blogger in my niche that has amazing content, and 1-2 retweets a day. Use your “voice” in your Tweets. I’m known for a bit-o-sass, so I keep my tweets that way too. The most clicked on posts have photos and hashtags, so when you’re posting (and I recommend automating this with Hootsuite or Buffer) I recommend doing some research on the best hashtags and using images 440×220 pixels. Life with Joanne posted this list of hashtags for bloggers and businesses. I use them every time I Tweet and it has made a big impact on my retweets and being added to lists. Stuck in Scared also shared some hashtags for days of the week. I used #MondayBlogs last week and got double the retweets I usually receive. When you are first starting to grow your Twitter audience, follow as many (relevant) people that you can. You can follow 2k people over your following. Go to accounts like yours: bloggers that blog on the same topics as you, bloggers that have a similar voice/tone as your own, businesses like yours, & the big dogs in your industry. Follow them and follow all of their followers. If they find your content interesting (which is why #2 is so important), they will follow you back. Wait a week, use the app CrowdFire and check who is a non-follower. Unfollow those accounts, unless they have great content. There is no point in continuing to follow someone who isn’t following you back. They don’t see your message, and isn’t that the point? Keep doing this cycle until you hit your goals. You don’t have a goal you say? How many followers do you need to hit before you can qualify as an influencer and get bigger sponsor opportunities? How many followers do you need before you consider your audience big enough for your product or service? Make a goal. Do this cycle until you reach it. My goal is to hit 10k followers (you can see my journey here). What’s your goal? Twitter is a great way to reach your audience and build a reputation as an influencer. Having a solid following on Twitter and creating amazing content will help you grow your client list, sponsorship opportunities, & share your content to a large audience. If you want to learn more, click here to be added to the wait list for my free Twitter E-book. Hello! I'm Sarah Noel, Content Director of Sarah Smirks: The Marketing Mama Blog. This is a great post! I love all the hashtag suggestions. very helpful, thank you! This was interesting, Thanks for sharing. I think posting interesting pics is a good strategy to grow twitter follower.